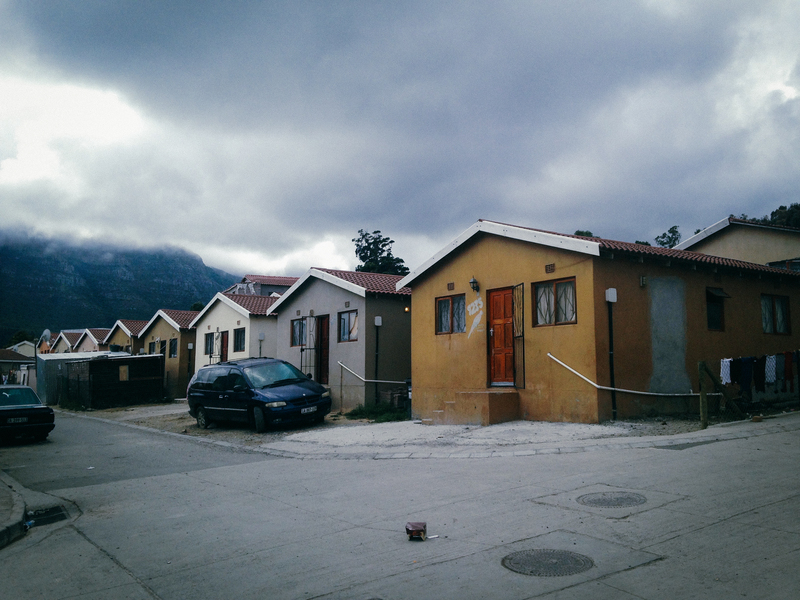 Disorder went on a study trip to Cape Town in South Africa with our friends at ArchFilmSthlm. This is a summary of places we visited and knowledge we gained. Kirstenbosch National Botanical Garden is a 5 sq km large garden at the eastern slope of Table Mountain. 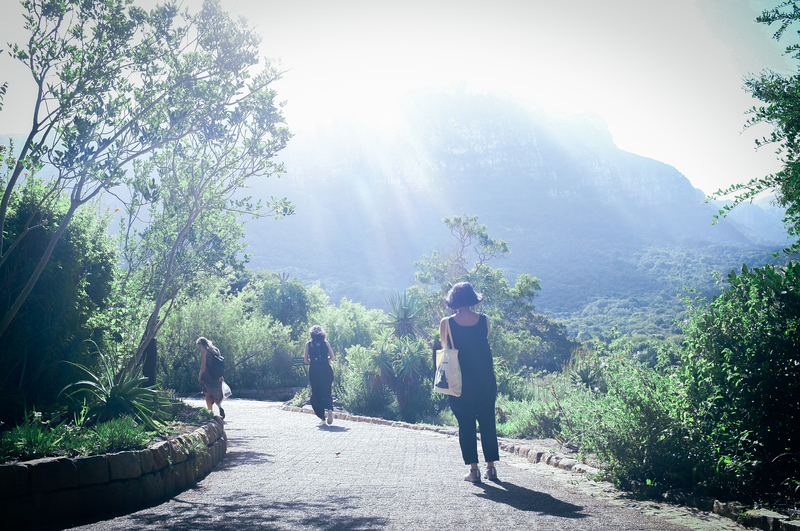 Kirstenbosch was established in 1913 to promote, conserve and display the extraordinarily rich and diverse flora of southern Africa, and was the first botanic garden in the world to be devoted to a country’s indigenous flora. 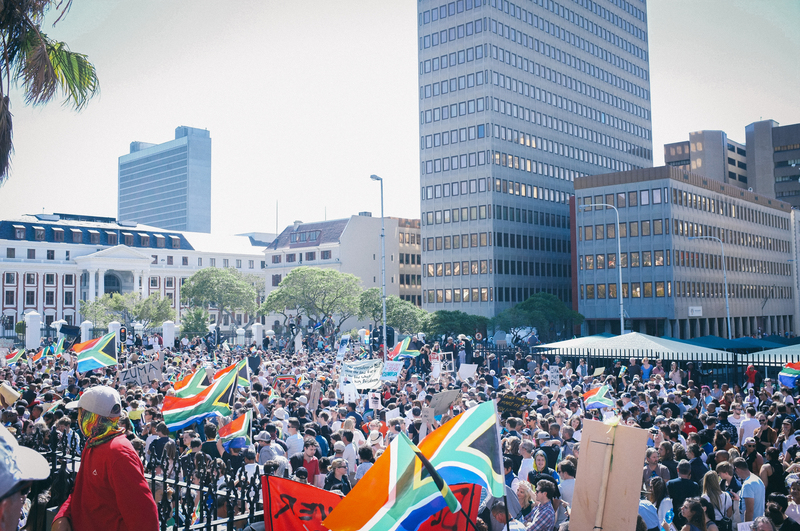 Under the hashtag NationalShutdown about 60 000 people marched the streets of Cape Town on the 7th of March to protest against president Jacob Zuma, leader of ANC. The mainly white crowd protested against the corrupt political system. The protests were triggered by Zuma’s rapid cabinet reshuffle the week before in which widely respected finance minister Pravin Gordhan was sacked. 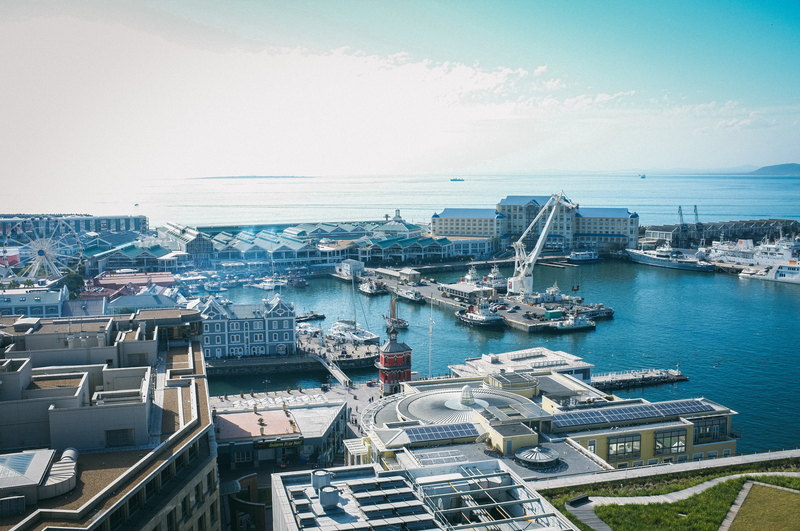 Many cities all over the world are transforming their industrial harbour areas into residential neighbourhoods for the middle class, Cape Town is no exception. To precede the residents a large private shopping mall, the Victoria Wharf Shopping Centre, is executed by the water. The gentrification of the large harbour is on its way. 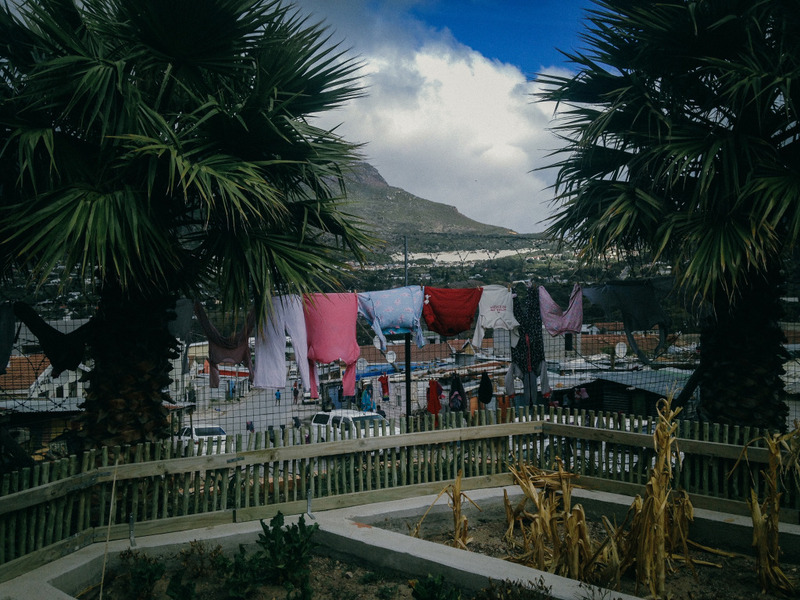 District six is a neighbourhood in Cape Town as well as the name of the museum telling the story about how over 60 000 black people were forced away from their homes in early Apartheid era. 1966 district six was declared a White Group Area. 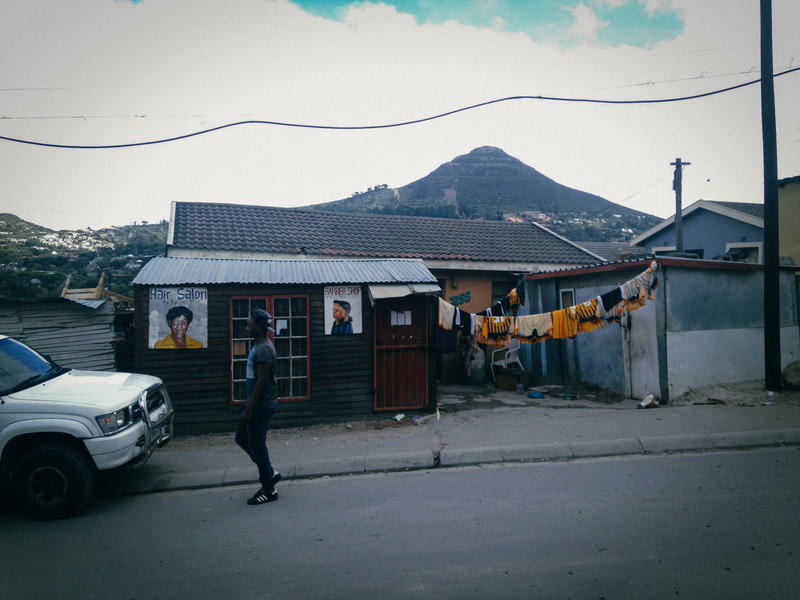 With little compensation black people were moved to townships located far from the city to make the central parts a white-only zone. 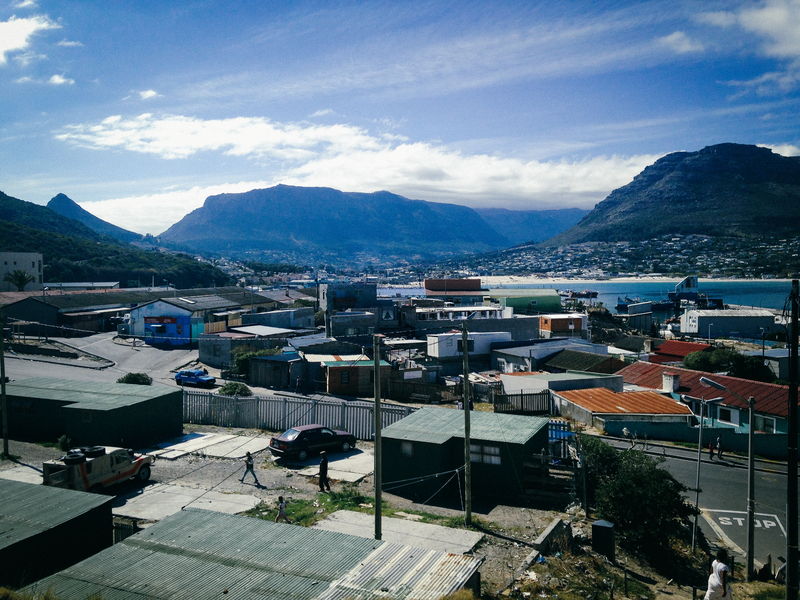 In District six today you’ll find a famous and well visited food market, a local beer brewery and a design district. 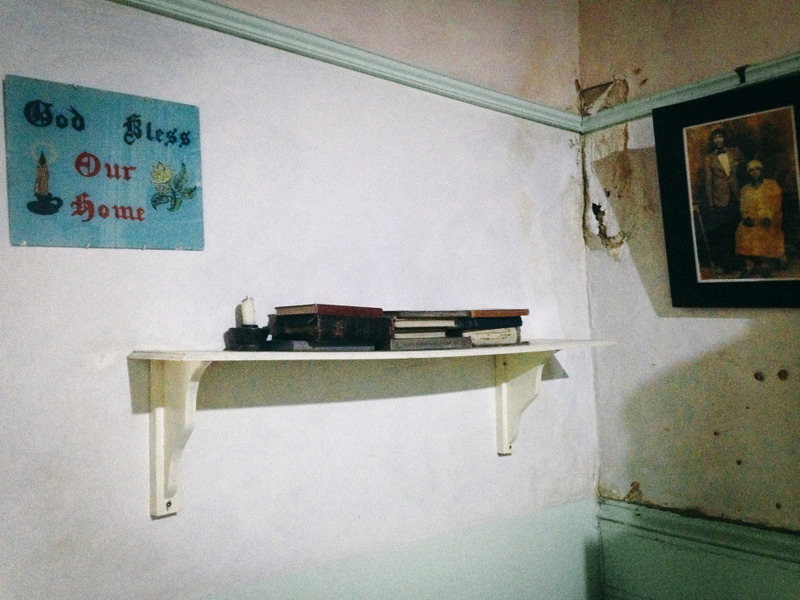 Few traces of the violent history of the neighbourhood is visible. 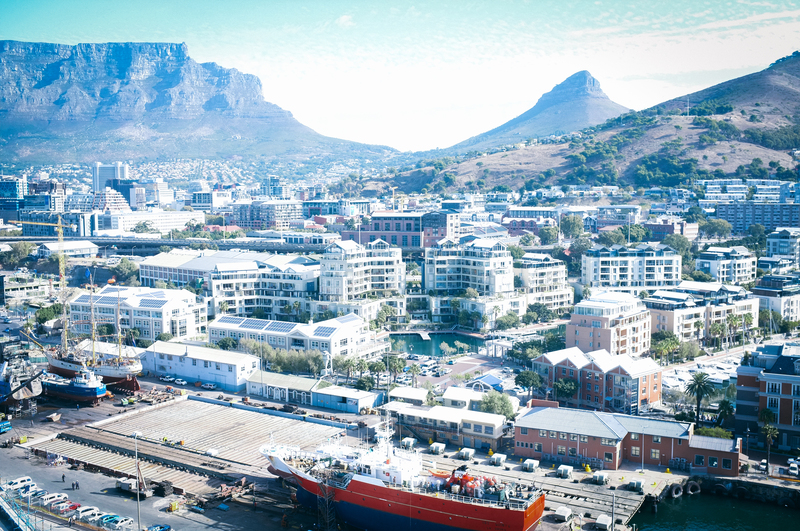 South Africa has 54 million inhabitants, but the richest 10% possess more than 90% of the country’s wealth. Ownership of land and companies remains mostly in South Africa’s white communities. 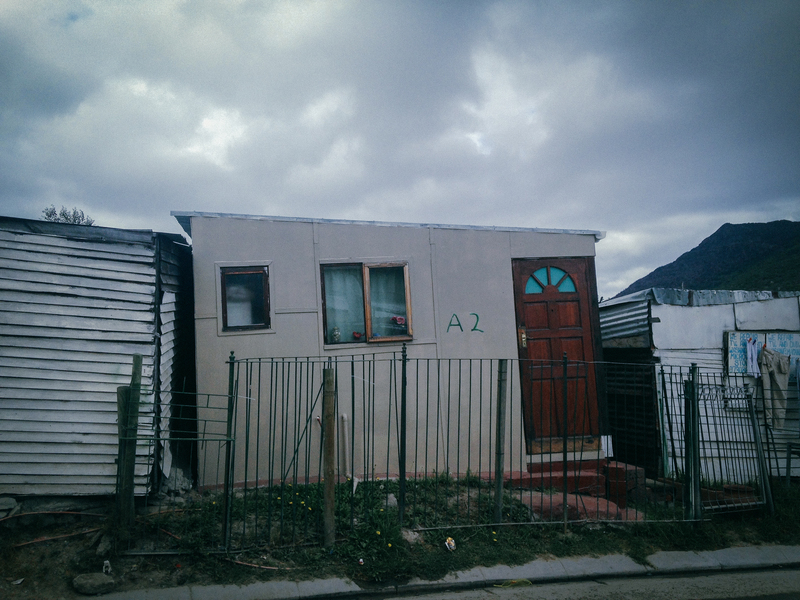 Still 20 years after the apartheid regime. Haut Bay. 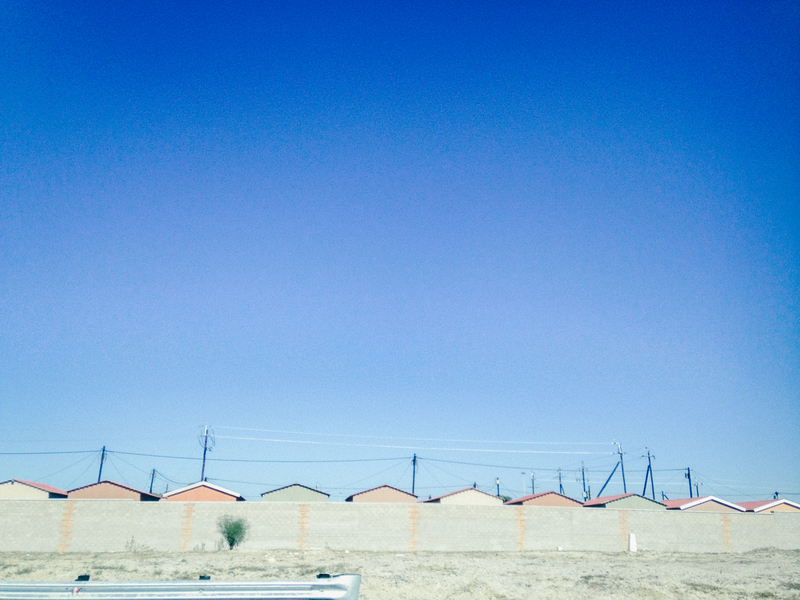 Township south of Cape Town where black people were moved by force during apartheid. The history repeats itself. The slope towards the harbour and the beautiful bay is now an attractive piece of land. Once again the poor and the have-nots are forced to move to make way for the wealthy as the local government withdraws the affordable housing. 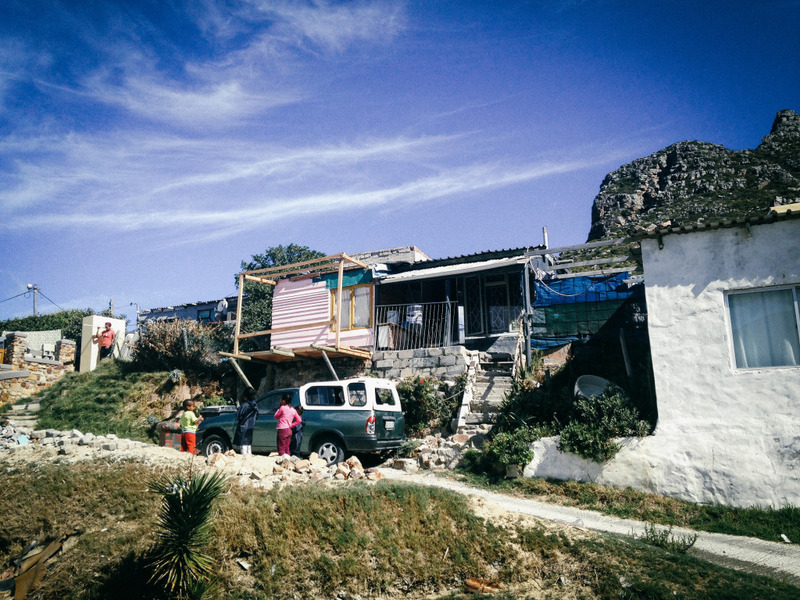 Some months ago parts of the informal settlements in Haut Bay were flooded. 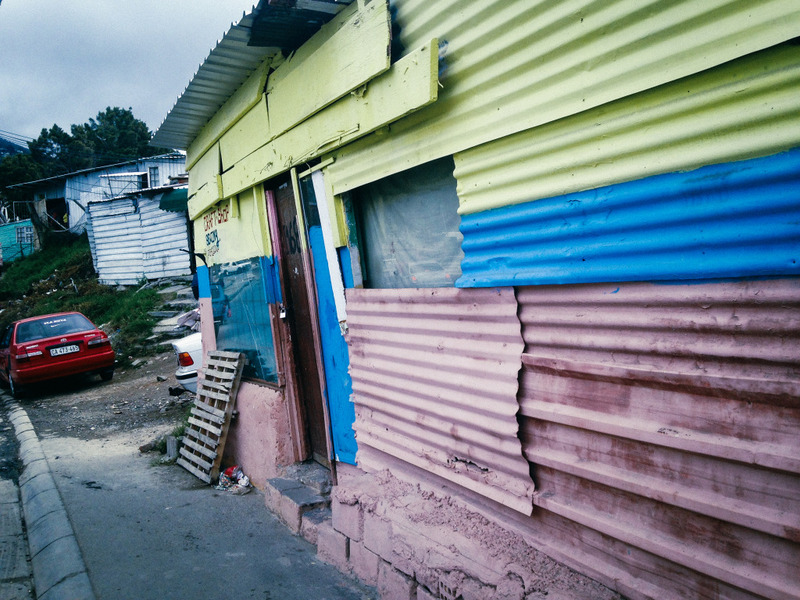 As a compensation the local government has provided temporary shelters of corrugated steel near a soccer field in the valley. TEMPORARY is a key word. The construction of these shelters are no better than that of the informal houses that were destroyed in the flood and they will most likely stand here for a long time. 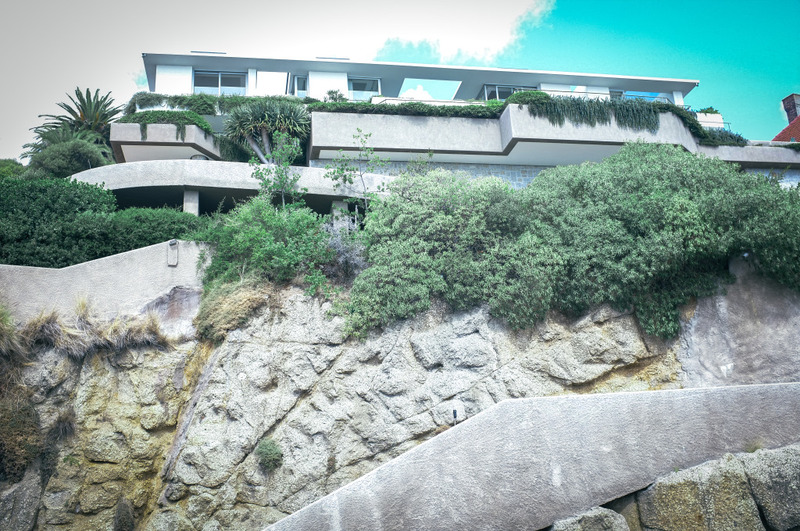 No government would get away with providing housing like this to its citizens. But by calling it TEMPORARY they do get away with it. Even if there is nothing temporary about these shelters in reality. 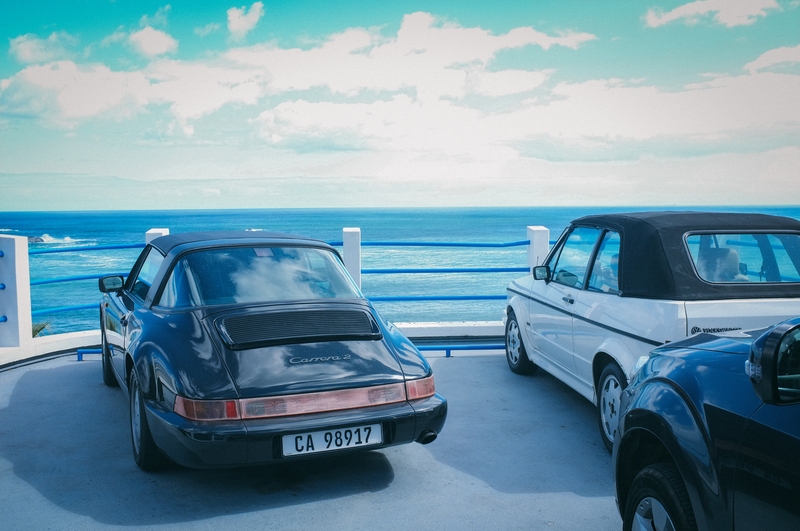 Central Cape Town is a city of cars. 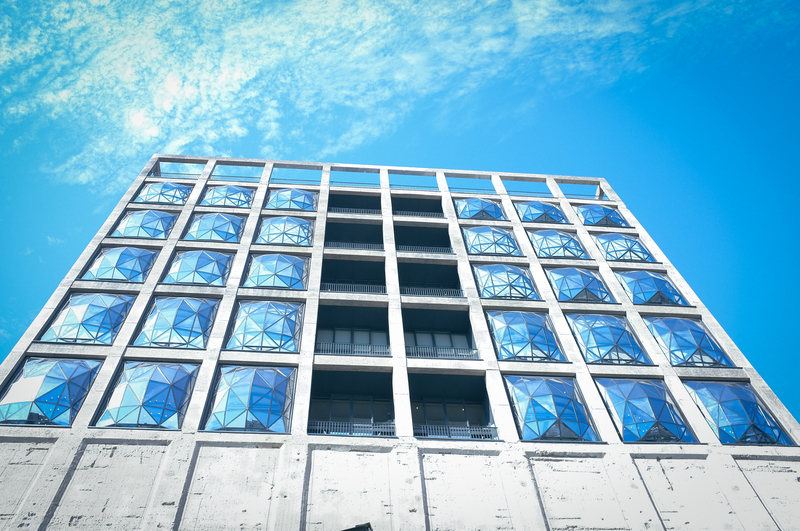 Jacqui Barhouch at DHK Architects tell us that most of their clients that build commercial buildings in Cape Town ask for 5-10 floors of parking at the bottom of the building. Bike lanes are rare. The public transport system is rarely used by the middle and upper class. 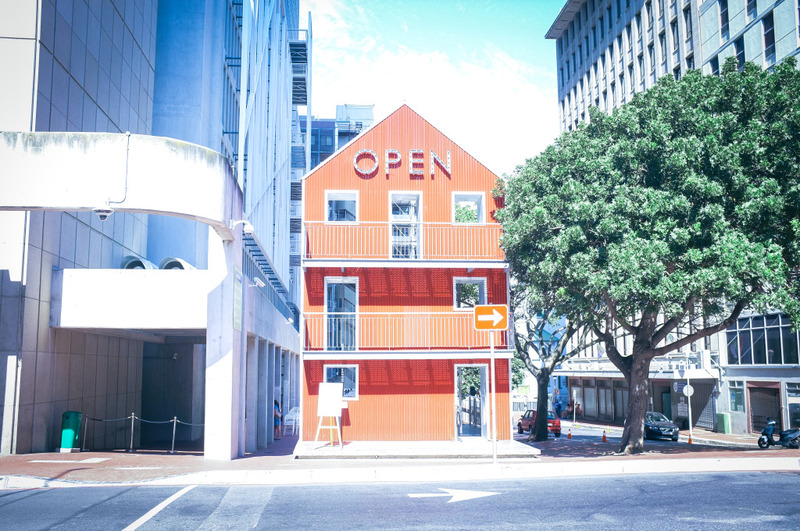 As in may other cities Airbnb has contributed to making the CBD hollow. Central apartments are bought on speculation and rented out to tourists. 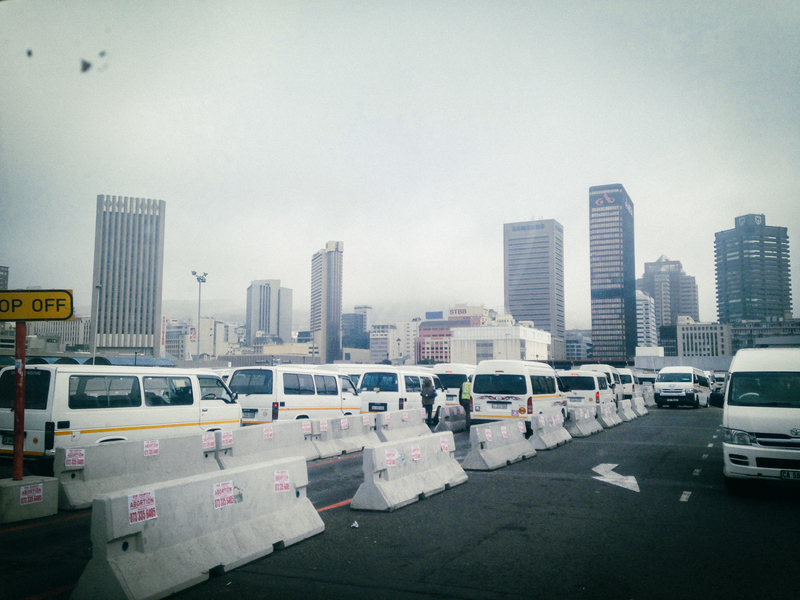 Informal buses. The minibuses started out years back by taking the same route as the formal public buses, only their routes were much more frequent and you could ride for a much lower price. 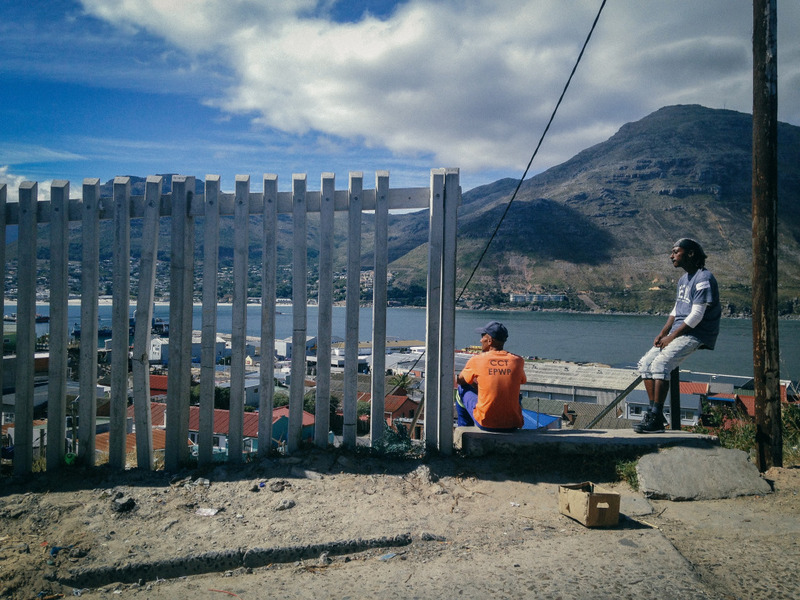 Now they go all over the city and the townships, covering a much more vast area than the formal public transport. 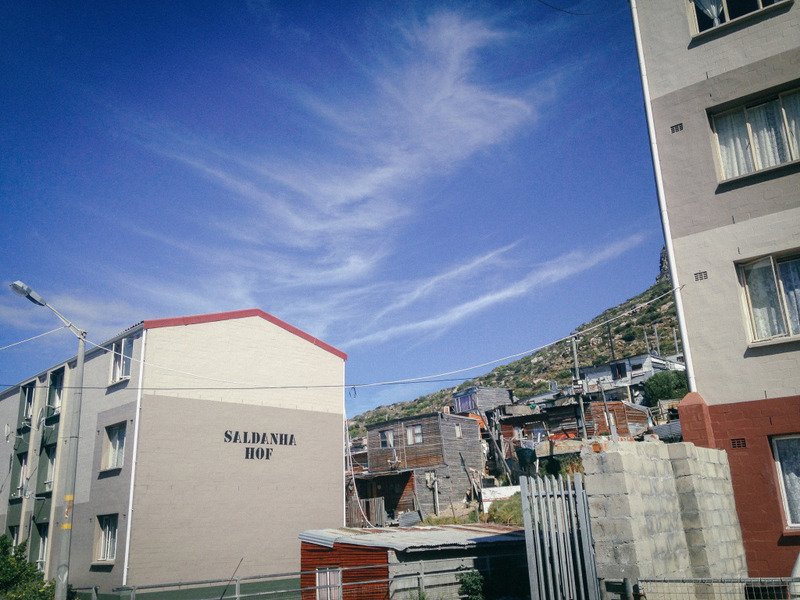 Bo-kaap. 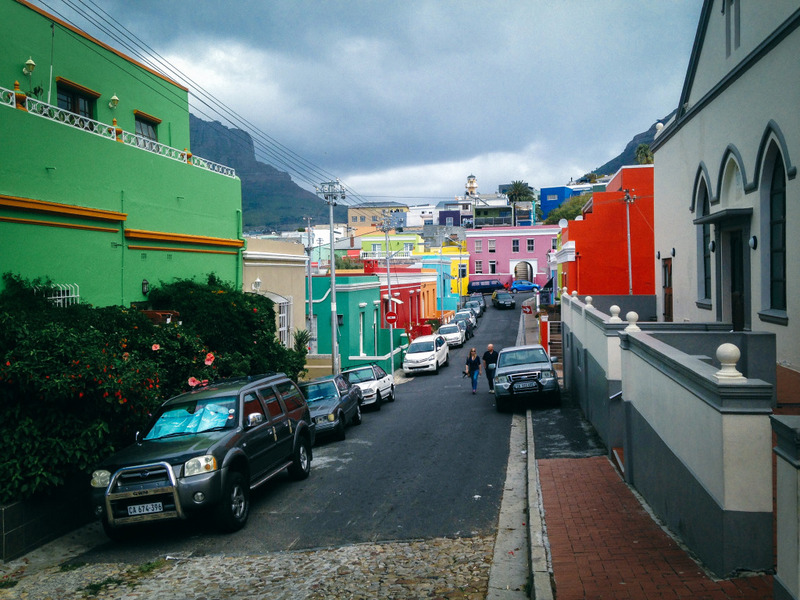 The colourful facades of this neighbourhood are well known to tourists. 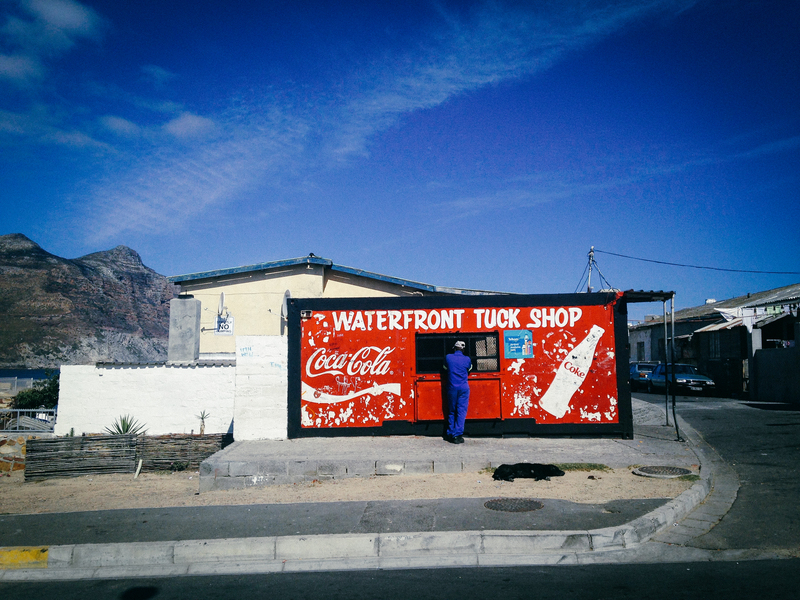 It is a former township that has now been gentrified. Seapoint is located along the atlantic coast. 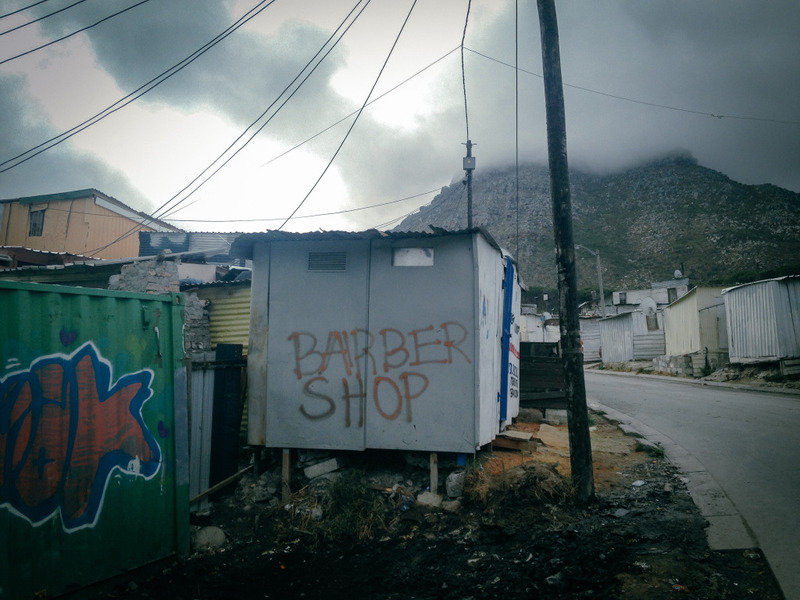 It is home to the upper class of Cape Town. White villas with plenty of columns guarded by men in uniform. A calm area with semi-private beaches. Take the beach promenade north and you’ll end up in new park by the World Cup Stadium. A car with a view. 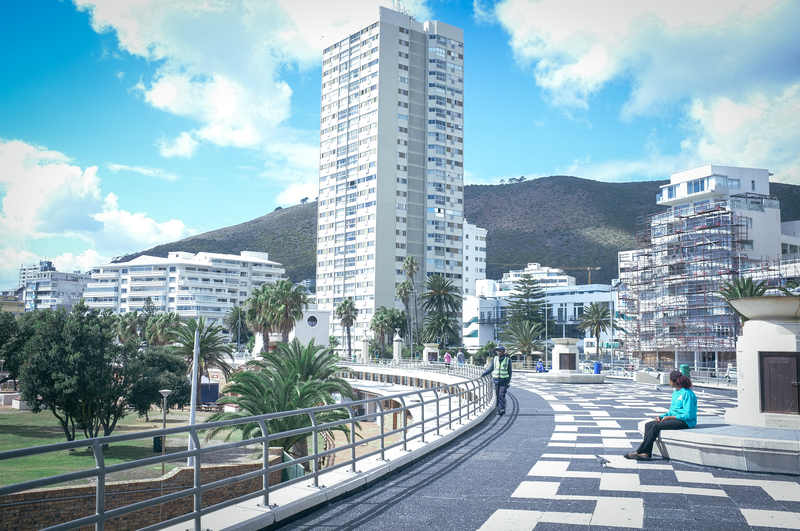 Seapoint. The hotel the Silo. The smallest room in this rebuilt silo costs about 1500 euros a night. The staff was not allowed to confirm, but it was suggested that Justin Bieber will stay here after his show in Cape Town in may. 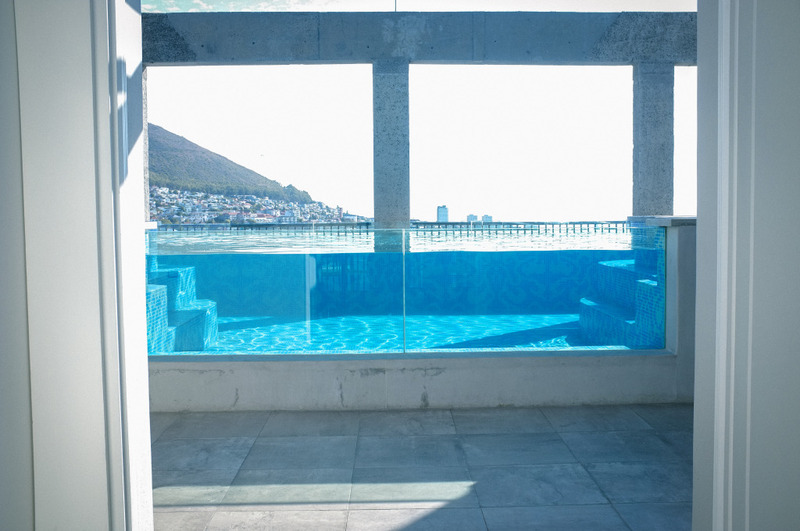 Use of the roof top pool is restricted to hotel guests.